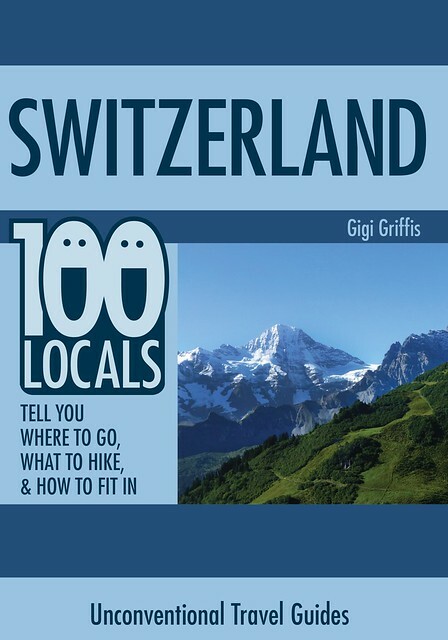 Tips originally published in Switzerland: 100 Locals Tell You Where to Go, What to Hike, & How to Fit In. 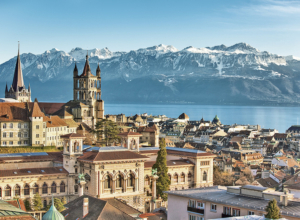 It’s no secret that Switzerland is an expensive place to visit. 1. If you’re staying awhile, consider a half-tax card. These cards, which cost about 175 francs, cut almost all your train fares in half. For a short stay with a couple train rides, you probably won’t need it. But if you’re on the trains every day, it could save you a lot. So do the train ticket math before you come (you can find fare prices at sbb.ch) and keep the half-tax in mind. 2. Consider buying a bike, which could save you a lot on public transport, especially if you’re staying awhile. I purchased mine in Interlaken for a few hundred francs (and there were definitely even cheaper options around in places like secondhand stores). 3. Ask at the train station about special deals or discounts. Or check online at sbb.ch. 4. Consider a rideshare. The Swiss trains are lovely, but sometimes it’s cheaper to grab a ride through one of the many rideshare websites out there. 5. Cook your own food. With average entrees costing around 25 francs, you’ll save tons if you cook at home, even just for a few meals. 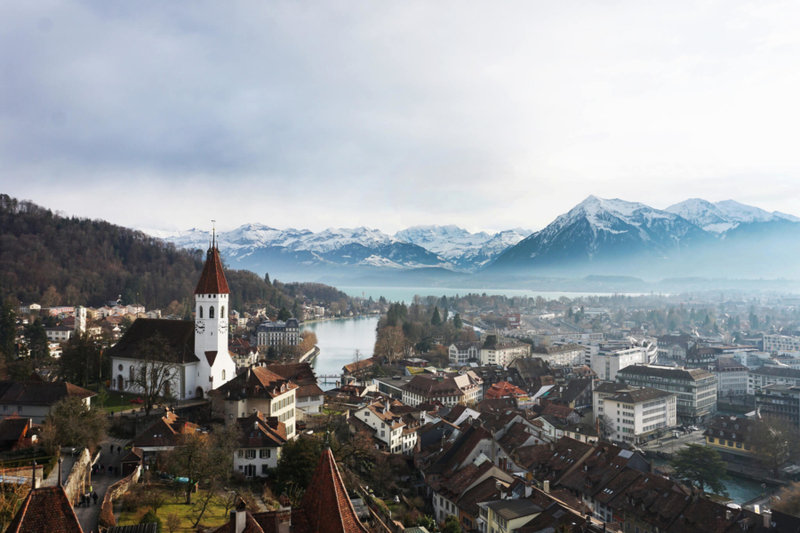 You can also buy bread, cheese, and wine at the local supermarkets and picnic alongside one of Switzerland’s lovely lakes, lookout points, hiking trails, or rivers. There are free BBQ areas and benches scattered along trails, lakes, and parks. And there’s no better place for dinner with a view. 6. Have your main meal at lunch. Most restaurants have special lunch menus at about half the price of dinner. 7. Mixed drinks are expensive, so stick to beer and wine. And buy your beer from the Denner grocery store—it’s the cheapest place around. 8. Check out the restaurants in the Coop and Migros supermarket chains for reasonably priced food. 9. 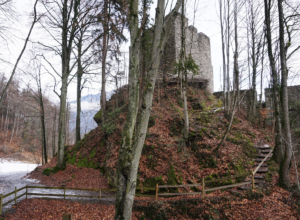 Swiss tap water is safe to drink—as is the water provided by fountains along the hiking trails. So there’s no need to pay extra for bottled water. Did I mention that I wrote a whole book full of tips like these? 10. Try Airbnb instead of a hotel. Not only is it often less expensive, but you’ll also have a kitchen. 11. Consider camping. Swiss campgrounds tend to have rather nice facilities (often including cabins, kitchens, and laundry rooms, and sometimes even dorms) and cost less than most other accommodations. 12. Check out Switzerland’s youth hostels. Like all things Swiss, these tend to be very nice (though they’re still more expensive than hostels elsewhere in the world). 13. Travel in the off-season. Prices for both housing and activities tend to drop in the spring and fall—and both can be quite lovely. 14. Get outside. Switzerland is, of course, all about the outdoors. People come here because it’s heart-achingly beautiful…and most of that beauty is free. So, go for a hike. Enjoy a picnic. Take a stroll along the valley floor. The scenery doesn’t cost a dime. 15. If you are in a large group, split the cost of a mountain guide and ask them to show you some of the most beautiful, challenging, or hidden hikes in the area. Now, to you. 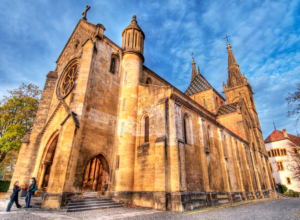 Any tips for Switzerland on a budget? Drop them in the comments!